In this day and age, it's so easy to get lost "socializing" behind your device. However, socializing in real life can provide a number of benefits to your physical and mental health. We understand that people have different ways they prefer to socialize. Maybe you'd like to have a coffee with a friend on the rooftop patio, or meet a group for a few "cold ones" on the course; without the worry of a ride home. Regardless of how you go about connecting with others, it should be in a way that is enjoyable to you. 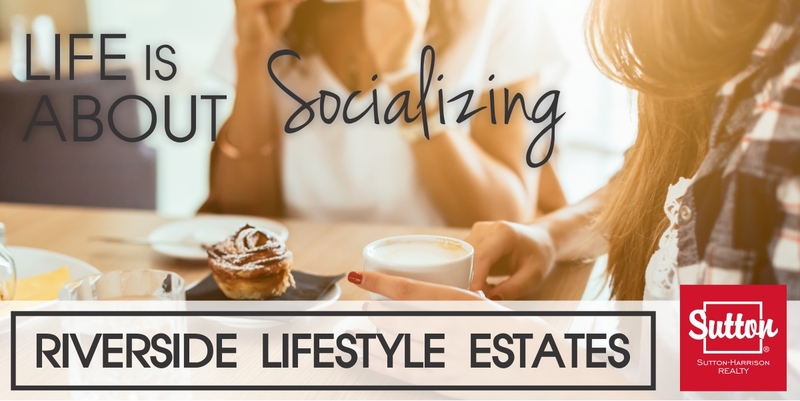 At Riverside Lifestyle Estates, we're working to build opportunities for you to converse with friends and actively socialize just outside your doorstep.